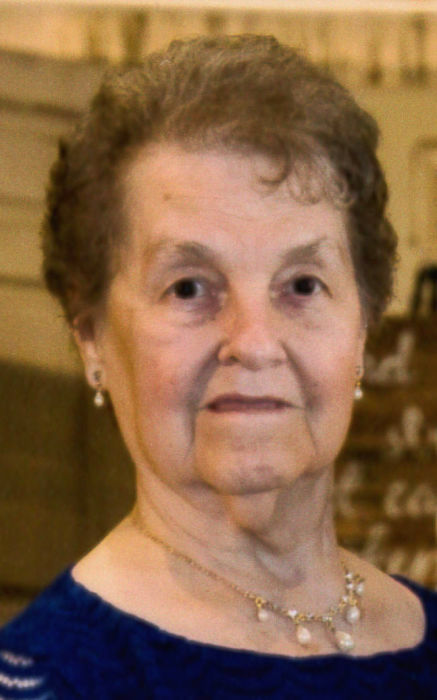 Obituary for Zadie Pauline (Ratliff) Fitch | Family Care Services, Inc.
Leetonia- Zadie Pauline Fitch, age 83, of Leetonia, peacefully left her earthly home to go to her heavenly home on Sunday, March 31, 2019. She was born in Pike County, Kentucky, on November 27, 1935, the daughter of the late Burley and Gracy Burchett Ratliff. Zadie Married William “Taylor” Fitch on July 2, 1955 and the couple moved to Columbiana County where they shared 47 years of marriage before Taylor’s death on April 7, 2004. The couple loved to travel and visited many states with their daughter, Teresa; grandsons, Joe and Kyle; sister, Sue and Niece Danette. The highlight of their travels was a trip to Hawaii with Danette and Sue. Besides her Parents and Husband, Zadie was preceded in death by her sister and best friend, Sue Pitts and brother, Truman Ratliff. She will always be loved and remembered by her children Pauline (Wayne) Anderson, Teresa (Tom) Leskosky and Richard (Monica) Fitch; a niece, Danette Pitts; her grandchildren, Amy (Chad) Witherstine, Timothy (Julie) Anderson, Jennifer (Mike) Kundravi, Stephen (Taralyn) Anderson, Joseph (Loren) Leskosky, Kyle (Valerie) Leskosky and Richard (girlfriend, Abbie) Fitch and her great grandchildren, Abigail, Aubrey, Tyler and Caleb Witherstine, Danika, Tucker and Fisher Anderson and Matthew and Emma Kundravi. Her family would like to thank the very special staff at the Courtyard at Lexington for the care given to our mother and Hospice of the Valley, for their care during this difficult time. The family will receive friends on Friday, April 5, 2019 from 6:00 p.m. – 8:00 p.m. at the Warrick-Kummer-Rettig Funeral Home, Columbiana. Funeral service will be held at 11:00 a.m. on Saturday, April 6, 2019 at the funeral home, with Pastor Chad Witherstine Officiating.